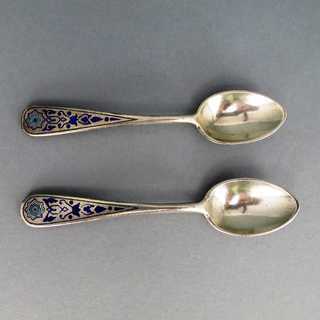 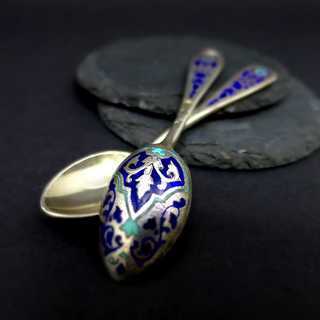 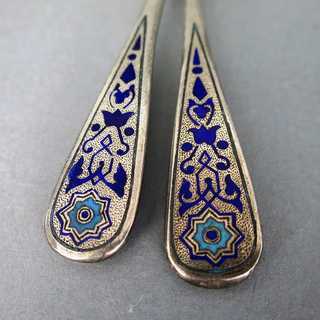 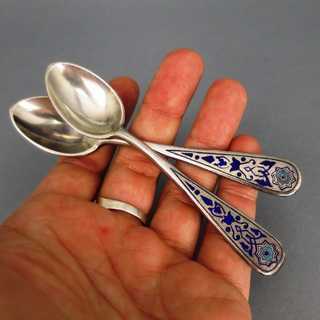 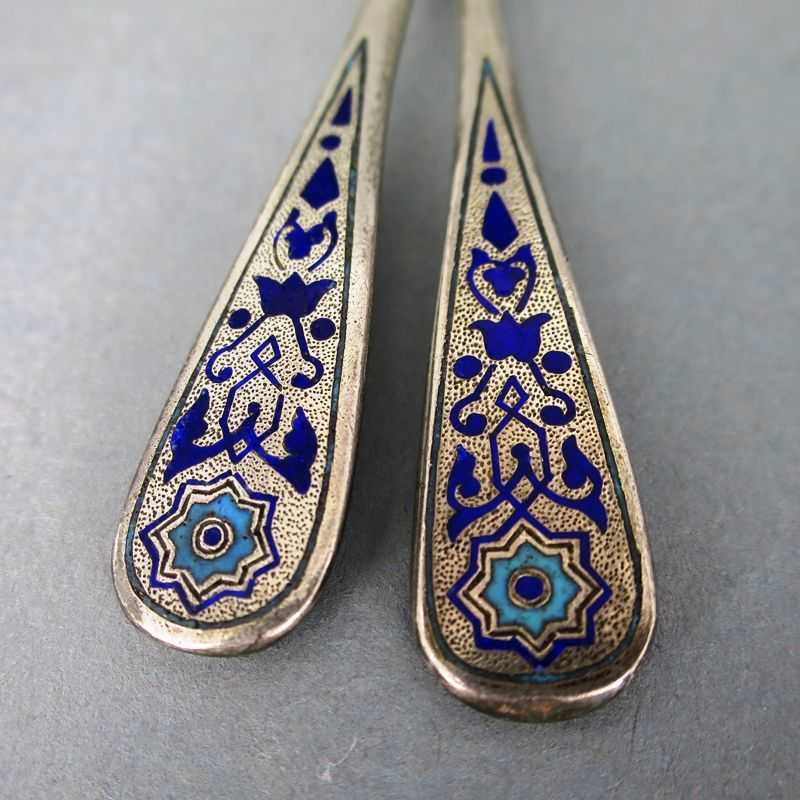 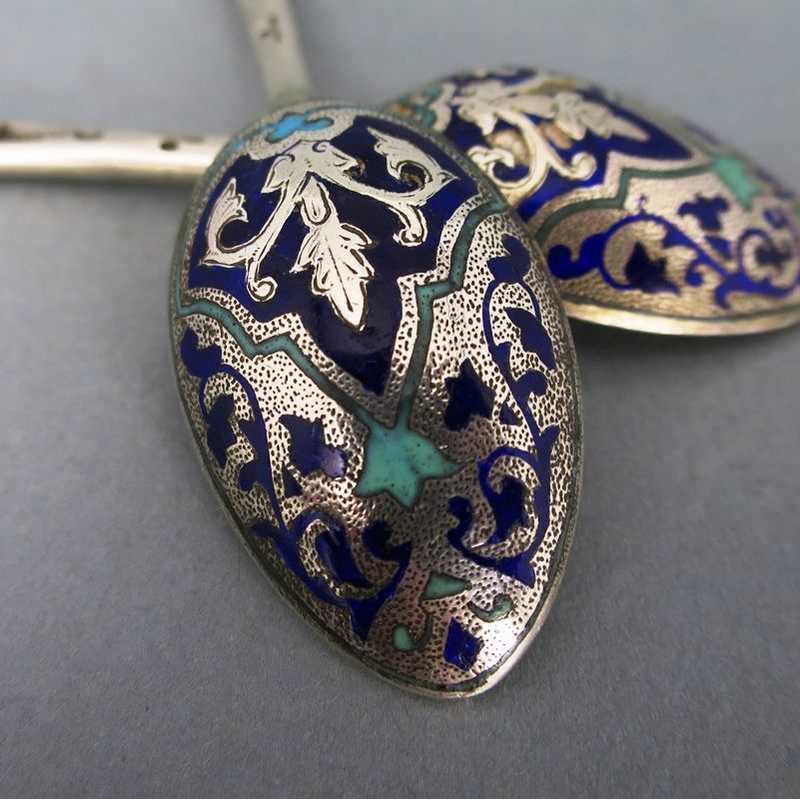 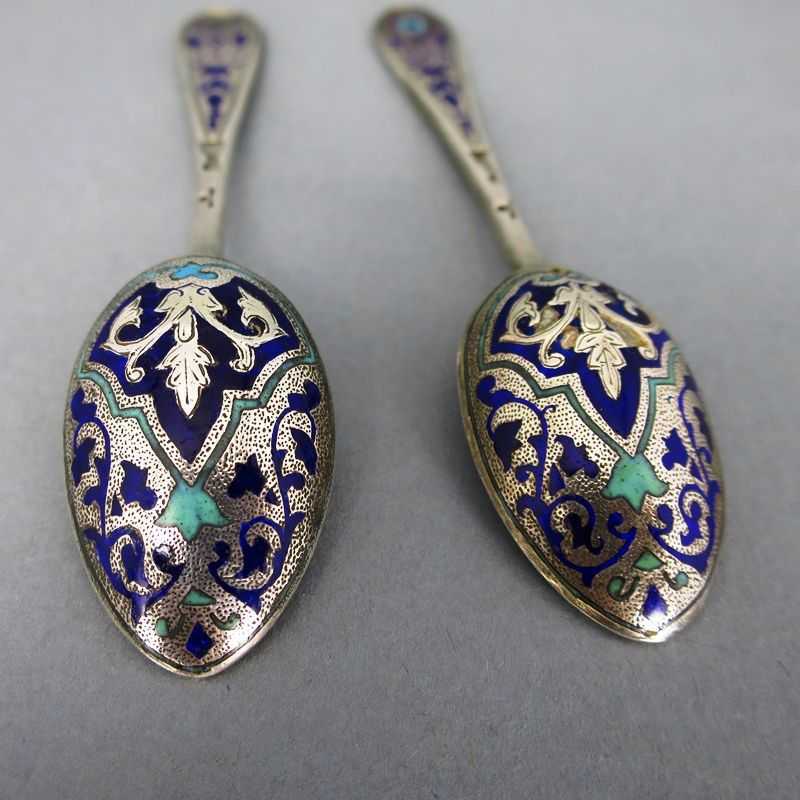 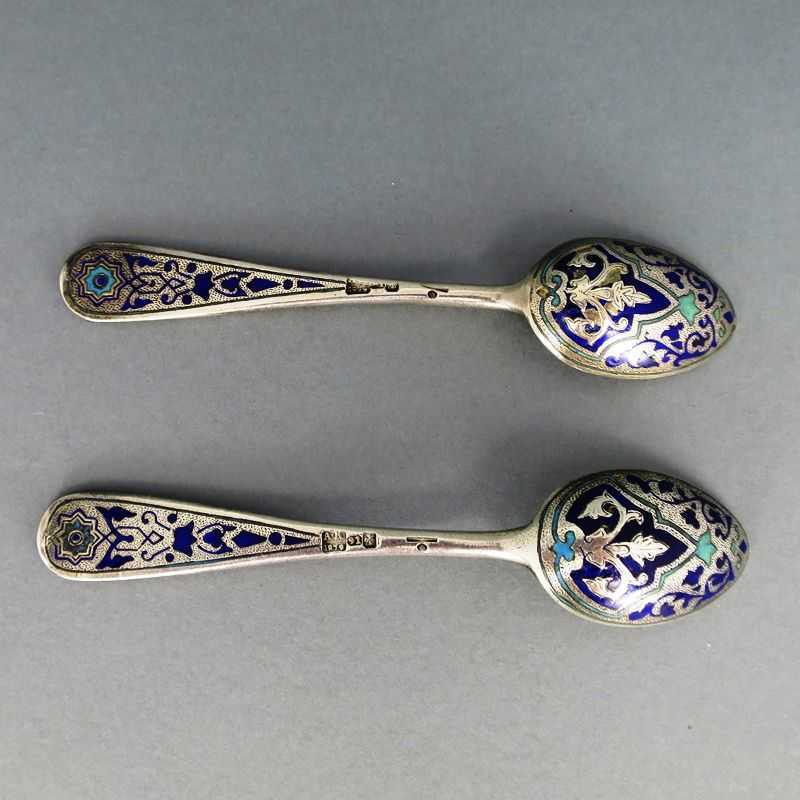 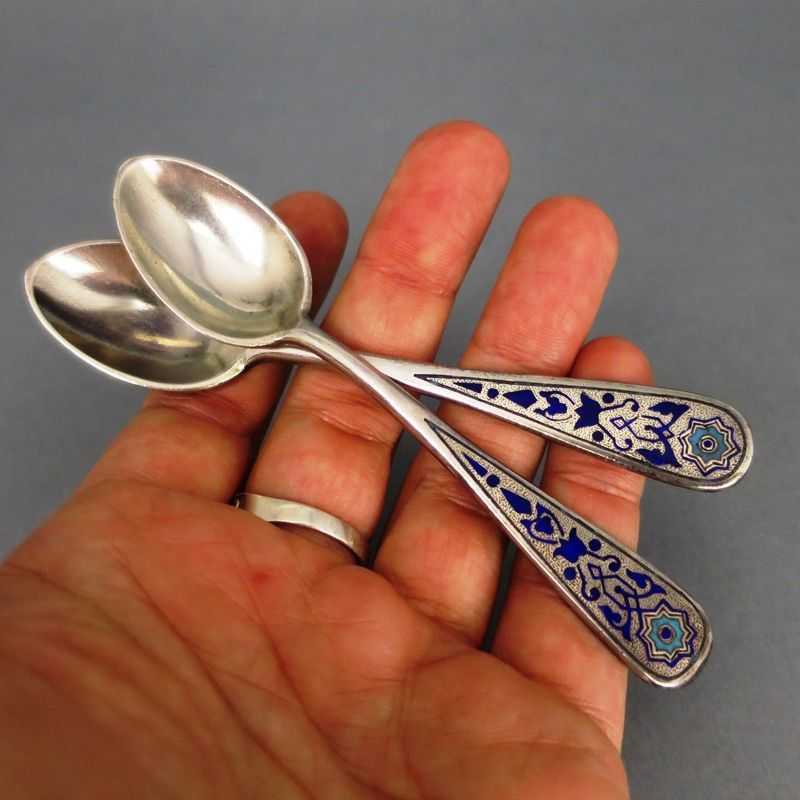 A pair of gorgeous tea spoons from Russia. 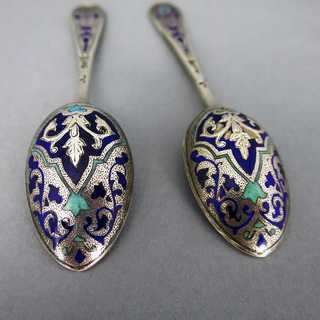 Bowls and handles are rich decorated with colorful enamel (champlevé) in blue and green tones. 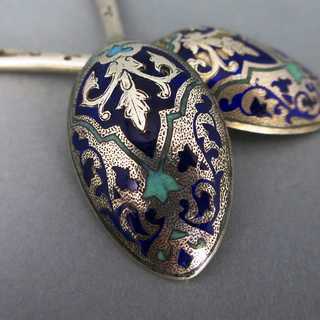 The abstract pattern remains on oriental stone mosaics. Marked, made in the manufactory of Pavel Ovtschinnikov in Moscow, court jeweler and owner of one of the most important manufactories in Russia, dated 1879. 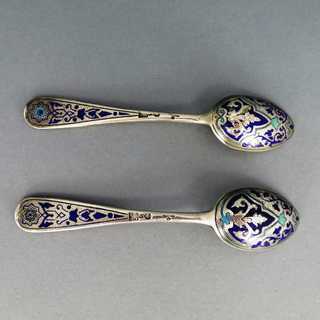 Assayer not known. 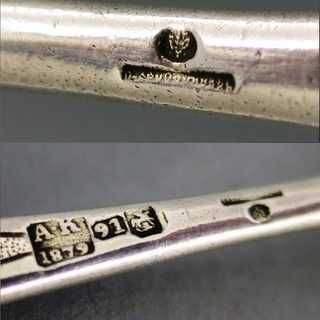 Court-jeweler-mark.